fitted the bike perfectly and the price was good. Great service, good battery many thanks. Battery started to self discharge probably better suited to a bike that get used regularly to prevent this. Battery arrived promptly, but as only 12.8v on a multimeter when fitted, I connected it to my oxford optimiser to give it a boost for a day or so. When 13.5v it started bike fine. 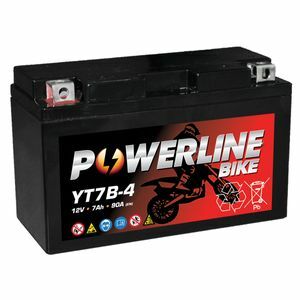 Afterwards I disconnected optimiser this battery immediately started dropping voltage daily..... Third day it only read 10.4v and failed to start bike with a groan and lights dimmed as battery not capable of cranking engine over. Phoned at 5.20pm and was closed. My old 6 year old battery held power longer! Is this item really 6Ah as advertised with over 100cca I now ask??? I await satisfaction as this situation intolerable!!!!!!!!!!!!!! Fitted to Suzuki DRZ400. Seems excellent so far. Too early to assess longevity. Exellent battery a perfect fit and starts scooter with ease Exellent service and a pleasure to deal with. Good price, fast delivery, Battery was fully charged so just plug in and go. I used Tayna for car battery before and as long as the prices remain the lowest I will use again. Good value and efficient.